A few Short Gowns and skirts would be nice to be interchangeable. 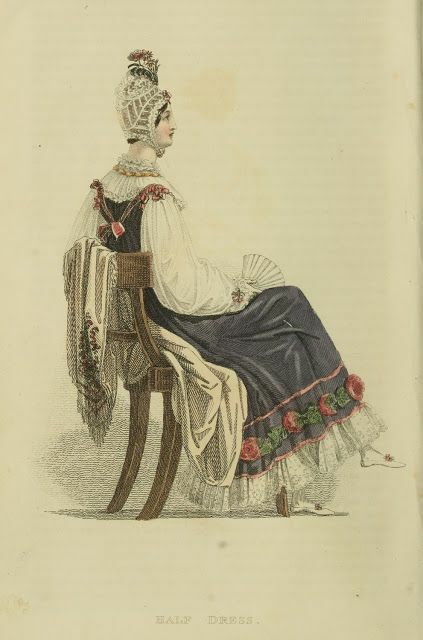 The dress above is 1815-1818 from the MET. I Love the cross over front with collar and ruffles. 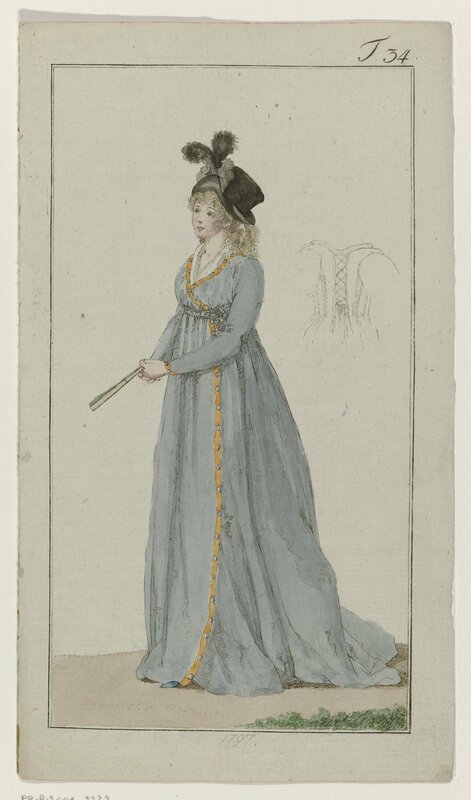 Cotton dress from Domkirkeodden museum 1810-1815. I would probably do a drawstring in the front instead of back to be able to get in and out of myself. Day Dress - 5 - Current 4, but really I don't like one and I'll probably move it to a work dress and another I don't think the print is historically accurate enough but for just at home I'm sure its fine. ﻿Evolution of this dress. Left is new Right is old. Current sleeves much better and I finally love this dress. I also added tape ties at the waste and it is only drawstring closure instead of buttons in the back. and current favorite of course. I love the fit of this dress but the print is not historically accurate but it is one of my more flattering styles. My least favorite dress above. It can never decide what it wants to be. 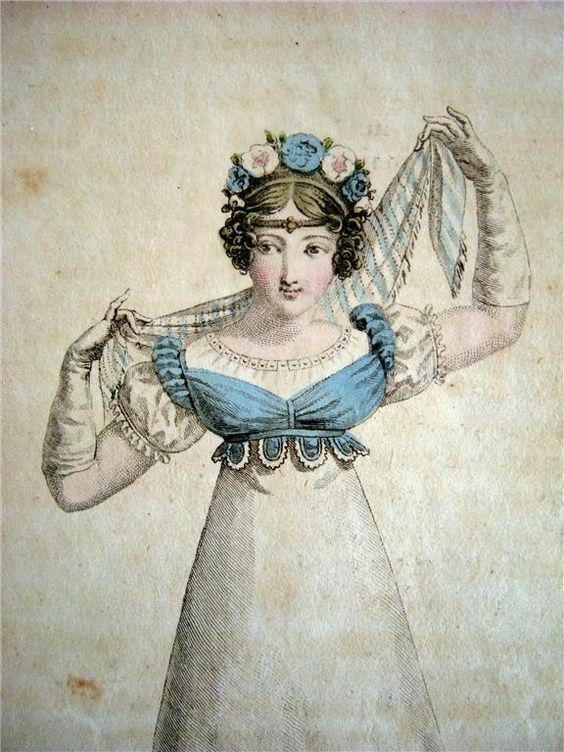 1812 Costume Parisian fashion plate - Beautiful crossover gown in a checked fabric. 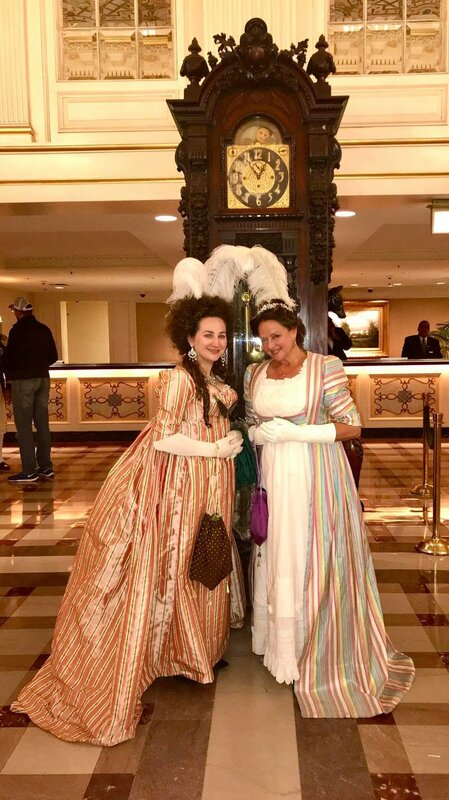 I found this dress on Pinterest attributed to the Fries Museum but I cannot find the original on their website. I love this early style dress. The color and the way it closes. I also love the hate. basically everything about this I love. I also assume it laces inside the back to tighten? Dinner/Evening dress – 2 - Current -2. I'm satisfied with my current two and feel they are recent enough not to worry too much about a new one until later in the year. I am on the left. It is a very 1795ish look but its fun and fits me well. Opera Gown - Current 1 - this is a cross over because I would certainly wear one of my evening gowns the opera. I mean how fun is this? and I'm completely in love with the cap! I really plan to focus the next six months on morning and daywear. I want plenty of everyday outfits for general outings, promenading, picnics, and around the house.